STUDENTS of Shakespeare and Cervantes are looking forward to a bumper 2016. 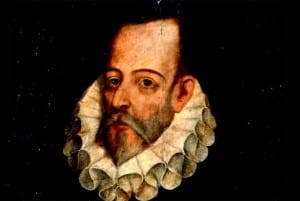 The British Council is setting up 40 events in Spain to celebrate the 400th anniversary of the literary giants’ deaths. 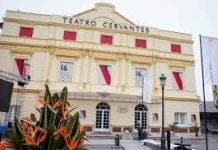 The Shakespeare Lives in 2016 is teaming up with the Royal Opera House and National Theatre to transmit live theatre performances to 100 Spanish cinemas. On April 14, Coriolanus starring Benedict Cumberbatch will be beamed back and on April 28 As You Like It is the main event. British Council head Andy Mackay says the programme will ‘celebrate the ties between the two countries’. Shakespeare and Cervantes both died on April 23, 1616.